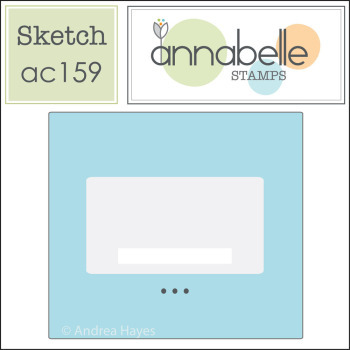 Hello and welcome back to another AnnaBelle Stamps sketch challenge. Here’s my take on the sketch. 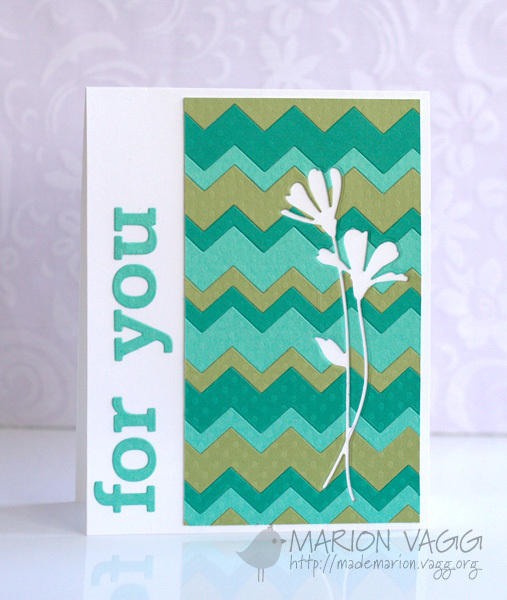 I masked off an area and stamped the lines in various colours before adding the hearts and the sentiment. This challenge will run for 2 weeks and the winner will receive a $15 Gift Voucher to the AnnaBelle Store. Hope you will play along with us. Be sure to check out the rest of the Belles’ projects – their links are on my side bar. 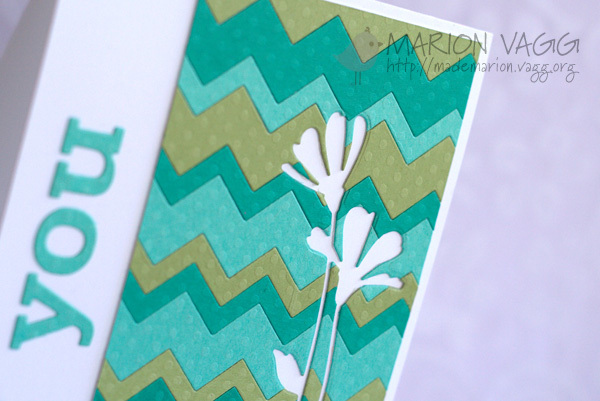 I am back again today sharing another card at the Muse Card Club. 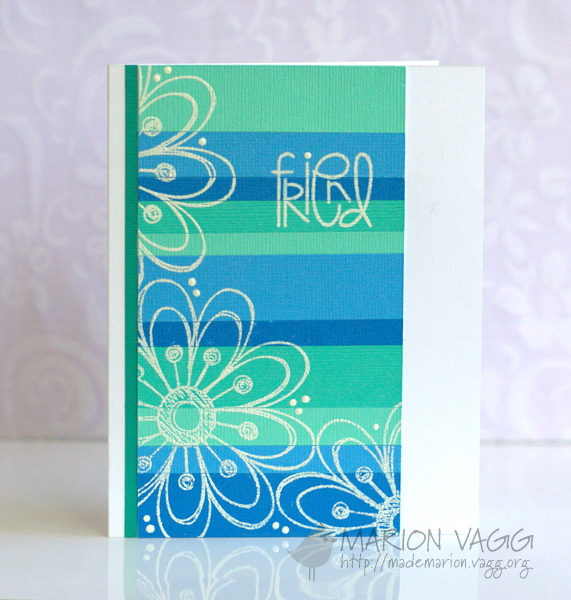 This week I have a card using some of my favourite colours – teals and blues. I created the background by cutting strips in varying widths and adhering them to a panel. I then white embossed my images over the top. The small dots are white enamel accents. 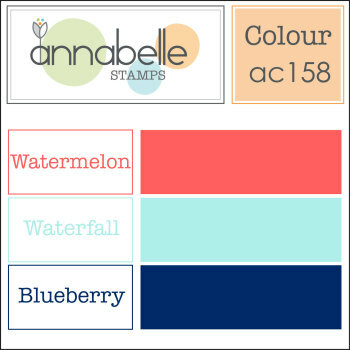 Hello and welcome to AnnaBelle Stamps Friday Feature Blog Hop. You should have arrived from Kylie’s blog. 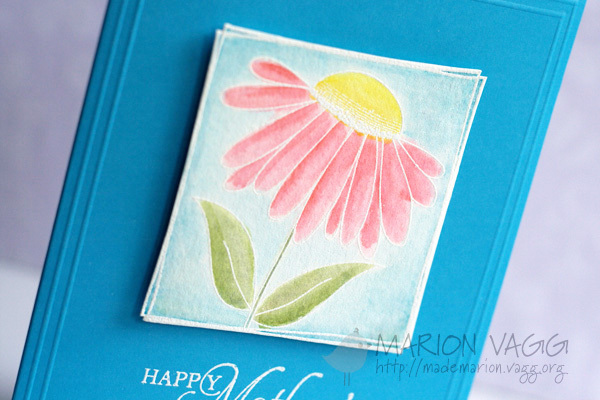 Today, the Belles are showcasing the Squared Posies Stamp set – an older set, but a good one. 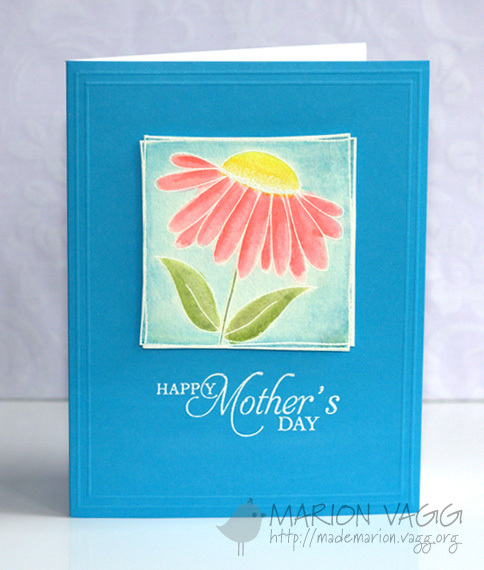 I have made a Mother’s Day card, creating a soft palette by water colouring with Distress Markers onto watercolour paper. To finish the card, I scored some lines around the outside with a scoreboard. I think my Mum will love it – she loves blue. Now for a GIVEAWAY. If you would like to win the Squared Posies Friday Feature set, comment on all of the DT’s blog and then head back to the ABS blog and add your name to the inlinkz. You have until Sunday 8pm (Australian EST) to enter. 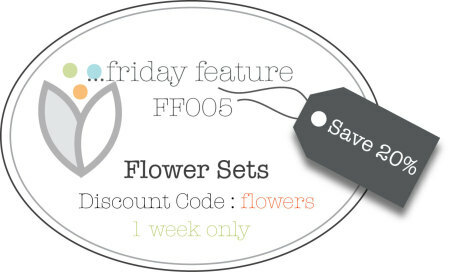 Also ALL flower sets are discounted by 20% when using the discount code ‘flowers’. This offer will run for a week! Your next stop on the hop is the AMAZING Therese. Moxie Fab World are having some super cool challenges at the moment and I wanted to play along…and yesterday I found some time and some mojo! I am loving green and aqua as a colour combo lately. Super fun. I am entering the first card into Emphasize the Negative Challenge in the Moxie Fab World. 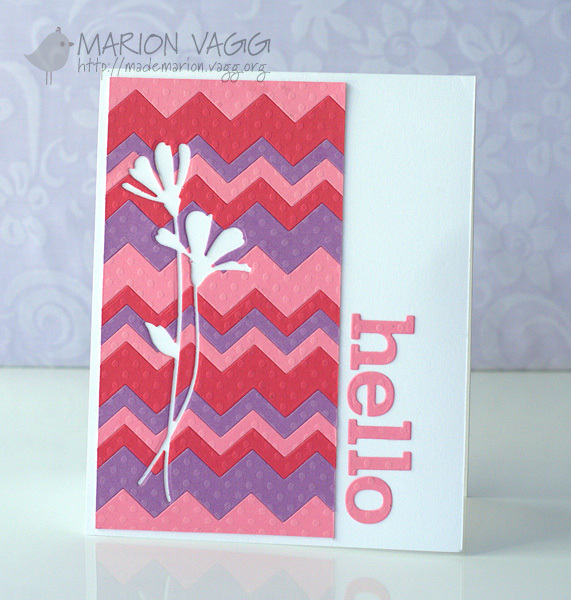 I am entering the second card into the Chevron Challenge in the Moxie Fab World. Hello and welcome back to another AnnaBelle Stamps challenge. This week we have a colour challenge for you. I found this colour combo quite tricky as I don’t own a watermelon coloured ink. In the end I found some watermelon coloured patterned paper. I made the bunting using the centre circles from the new Designer Flowers die (I just cut them in half). 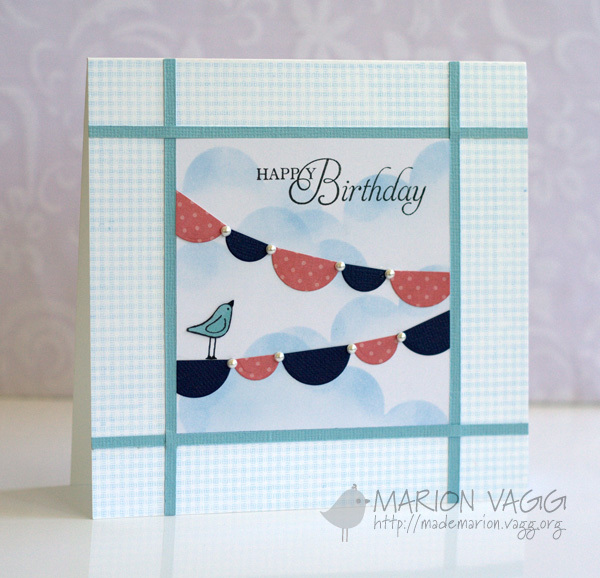 I sponged on the clouds and the bird is from this stamp set called A Beautiful Day. The gingham background I made from this background set. I used the second one from the bottom, just stamped it both ways. I think this card has a very country – quilt feel to it.